Companies are beginning to realise how important inbound marketing can be to their business and reconsidering their strategies with this in mind. Higher quality leads can be found this way and the only strategy to guarantee your inbound marketing team will succeed is through high quality, go-getting talent. Your staff need to be in it for the long run and have your support. A digital marketing specialist in your marketing team is essential to your inbound marketing strategy and most small to medium businesses can manage with one, talented ‘utility’ staff member who acts in this role. This type of individual is like gold dust and if you want to grow your business it is essential you let an expert take over the marketing aspect. The most important quality in any digital marketing specialist is their capacity to learn and use new tactics. They need to be a generalist in as much as they have experience across different areas of digital marketing and this takes lots of knowledge in the field. 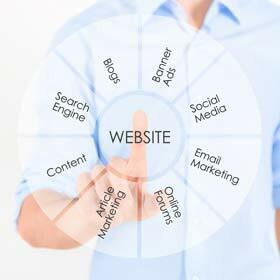 Below are some of the key skills you should expect from your digital marketing specialist. Your chosen specialist should have experience of blogging or perhaps corporate communications work. Creating content is essential to a digital marketer’s role so you need to be sure they have the capacity to do it. Your chosen specialist should have heightened digital awareness. They should be aware of and able to use the internet for business purposes effectively. Personal usage is also a good indicator of their understanding so if they have a personal blog, Facebook or Twitter account this can be a good sign. You’ll be very lucky if you find a graphic designer who doubles up a copywriter and analytics specialist but some awareness of all is especially great. You might be able to find someone who can put together logos as well as create text-based content. A creative eye can be enough to ensure they can adequately provide for your business. If you can find someone who is deeply engaged in the study and understanding of analytics and their related results, great but this again is unlikely. However, it is essential your digital specialist has a working knowledge of the marketing funnel and knows which questions to ask to get the right answers. They should also be comfortable tracking and monitoring and utilising tools such as Google Analytics and Microsoft Excel. Ideally your digital marketing specialist will have already run a number of marketing campaigns across different channels. This could mean they’re used to running e-mail and call campaigns or even larger event-based versions. You need to ensure your chosen specialist has a clear understanding of the development and production of a winning campaign and how each piece plays a key role in the sole aim of the process. Adding a digital specialist to your marketing team will pay dividends very quickly. They will be worth the investment and can make all the difference to the functioning and success of your strategies. Finding the right person for the job depends upon the right criteria and any personal conditions relevant to your brand. Next article: What Really Is Internet Marketing And SEO?